Over the last year or so, I’ve seen an increasing number of bloggers writing about how social media, and especially Facebook, is no longer a free platform. They cite the ever-decreasing reach of organic posts as some push from Facebook to force everyone to pay for ads instead of using the site for free like everyone else. Now, look. I know we live in a capitalist society that values money above all else, even self-preservation. I know even the richest of the rich are greedier enough to want more. I also know that something like Facebook isn’t going to be quite that malicious about it. Organic reach is decreasing because Facebook is growing. The more users there are, the harder it is to reach the users who are interested in you. The more businesses there are, the more competition there is for exposure in the algorithm. Facebook isn’t making changes in an effort to squash organic use of their platform, they’re just continually making it an attractive place to be. The problem I see so many businesses encountering is simply failure to adapt with the times. Yes, organic reach is dropping on average. However, you can fight against it with changing techniques and an adapting understanding of what your audience wants. What I’ve done here is compiled my top list of tips, strategies, and assorted thoughts that can help you keep your organic reach up in the face of difficult times. The first and best tip I can give you is to put growth of your audience as the second priority. Yes, I know calling it unimportant is an exaggeration. Growth is certainly important. The fact is, though, far too many page owners put growth above all else. This is why you see all those shady services selling followers, or companies that run terrible ads just to get you a bunch of new followers, and so on. 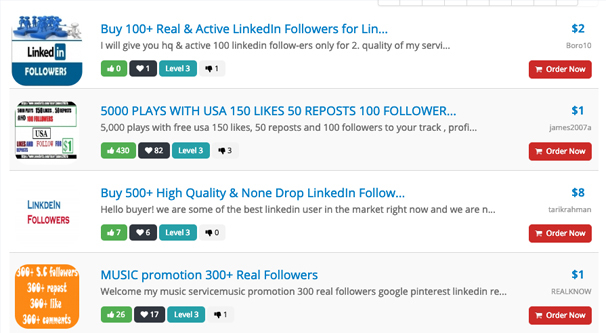 When you’re buying followers from Fiverr, you know you aren’t getting good new users, no matter what the seller is promising you. Instead of focusing on new followers, focus on qualified followers. Get new people to follow you who have a dedicated interest in you or your industry. Get people to follow you who are engaged with the content you post. This is how you get your reach numbers up. After all, reach is just a percentage of your audience who sees and engages with your posts. For that matter, it’s actually better to have a smaller audience if you want better reach numbers. Larger accounts have to contend with the algorithm more often, and that algorithm is going to hold them back unless they go viral. Smaller accounts aren’t going to run into those issues quite as often. 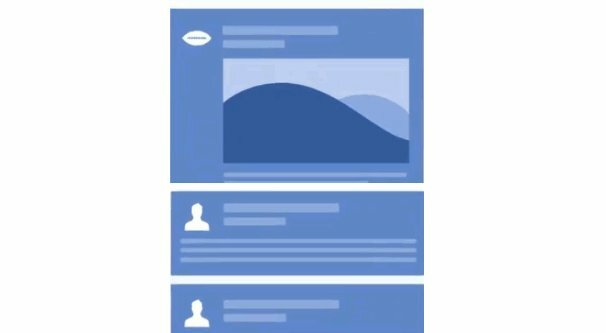 A lot of accounts tend to use Facebook as a sort of news wall, a bulletin board where their users can see news and announcements, but that’s it. They treat it as a one-way flow of information, when Facebook is actually all about community. As such, every post you create should have a reason for the user to engage. If you post a video, the play button is one such reason, but the thumbnail should be engaging enough to encourage users to click. Other kinds of posts need to have something to get the user to click through or read the post, leave a reaction, or ideally leave a comment. Comments are pretty much the best thing you can get. When users are active on your posts, other users will see the posts, both friends of the original users and other users in your audience. 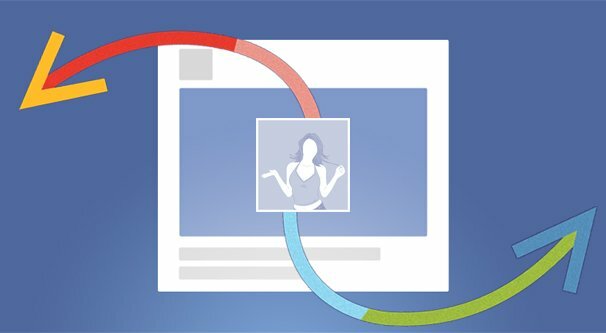 Facebook tracks how engaging posts are, and good posts get more circulation. It’s a feedback loop. There are a lot of different ways to encourage engagement. You can ask users to leave a reaction. You can simply make your stories emotionally charged in some way, such that users want to show their reaction naturally. You can directly ask users to leave a comment, by asking them a question they’ll want to answer. You can offer a giveaway if they click through your link. Your options are practically endless. The key is to have substance beyond just asking people to engage. If all you’re doing is trying to stir up the pot, especially if you’re doing it in a topic that’s off-topic from your usual content, it becomes a transparent attempt to boost metrics and people will ditch you for trying. The Facebook news feed is a constant stream of new content. More importantly though, all of that content is graphical in nature. Most organic posts have images attached to them, whether it’s an image post, a link preview from a blog post link, or even just those big colored text blocks. 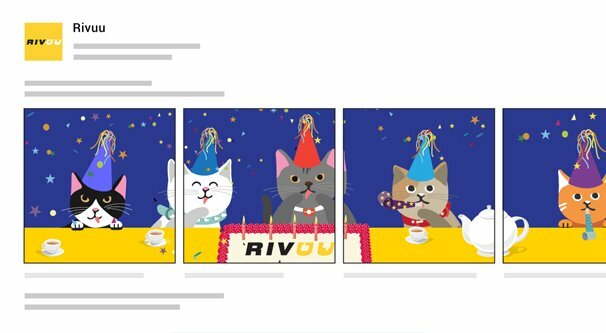 Facebook introduced those colored blocks as a feature because they knew that regular text posts don’t stand out, so even regular text posts can be turned into images. Everything you post needs to, in some way, stand out from the rest of the feed. High quality imagery, a great screenshot, a compelling piece of text, an interesting bit of graphic design, it doesn’t matter. The days of “any color other than gray and blue” are long gone. You want your content on your website to be shareable on Facebook. Different styles of content can do well, so mix it up as you go. Posting the same format over and over may be novel for a while, but only a few websites are able to pull that off, and many of them fade over time. A single lengthy tutorial. This might not be shareable for everyone, but it’s very useful to the people who want to know what’s inside. A collection of smaller tutorials. Those lifehack pages that have 10-20 different short, unique lifehacks fall into this category, and there’s often at least one that catches the eye of whoever is reading. News updates. If you’re positioned well within your industry, you can relay the news and become an authority for timely information. This is a tricky position, though, because you need to have constant vigilant awareness and can’t let it slip. Top lists. The listicle craze is over by now, but lists can still turn out well if you have a unique twist to them. 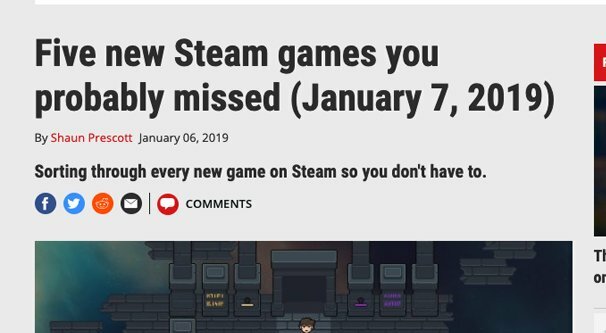 One I like is PC Gamer’s “New Steam Games You May Have Missed” that they publish each week. It’s always full of novel games and has introduced me to a lot of stuff I otherwise wouldn’t have seen. Interviews. The beauty of an interview is that the person you’re interviewing can share the content with their audience as well, so you have a built-in expansion to your reach beyond just the people who follow you. Posting the same thing over and over is spam, but posting the same thing in different ways can be a good way to drive more interest in a specific link or page. Each time you post, you’re getting a slightly different segment of your audience seeing that post. Post at different times of day, on different days of the week. The key here is to avoid posting the exact same post with the same copy and image. Use different baseline information with the same link. In this case, you might actually have lower reach for each post you make, but a higher exposure to the linked article overall. This is because people who ARE interested the first time around are likely going to ignore it the second time they see it, because they’ve already clicked and read the post. Facebook’s algorithm heavily favors timeliness in the posts it shares. This is why there’s always something new on your feed, and it can be impossible to find something you saw just a few days ago if you didn’t have the forethought to save it. Posts “expire”, for lack of a better term, in as little as a few hours. To reach the largest segment of your audience, you need to measure that audience. 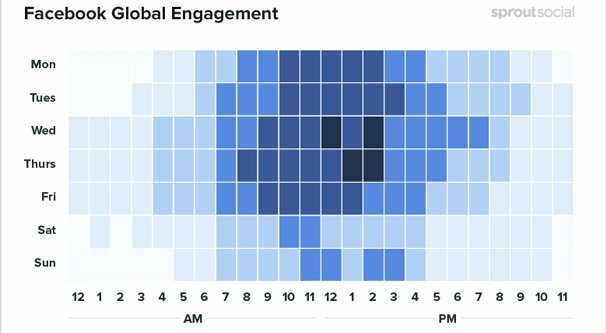 There are a number of tools out there that will help you identify the peak hours for your audience, though they’ll probably be a variation on the same peak hours as everyone else, adjusted for your primary time zone. I always recommend finding a starting point, something like this, and then experimenting to adjust up or down to see how it affects your posts. Another tip, though, is to post outside your peak hours. Peak hours is fine if you want to reach a lot of people while they’re online, but it’s also the space where the greatest competition is posting. Post throughout the day and in other time slots to capture interest from other segments of your audience, as well as to avoid the crush of peak posting. Remember, there’s more to Facebook than just your organic feed and posting as your page. You can make use of systems like Facebook Groups to reach audiences you wouldn’t otherwise see. Facebook actually prioritizes group posts fairly highly. 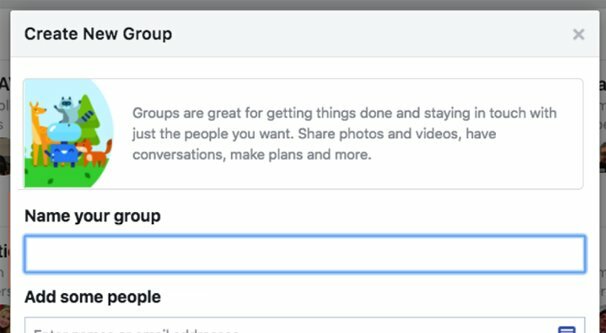 I like to create a group specifically for engaged users. Call it a power users club or something, and leave it “open” to anyone who is engaged enough with your brand. I like to make it a closed group with an entry question, but a simple question that can be answered by visiting my main profile. This way everyone who joins is guaranteed to be engaged enough to be interested in posts, but the barrier to entry isn’t so high that it’s really exclusive. Post compelling content a day early, so your group becomes an early preview group for your best content. Post “exclusive” giveaways and deals that only people in the group can claim. As a bonus, post organically on your feed that a special deal can be found in your group, to encourage people to join it. Share more casual, behind the scenes sort of content. It makes you seem a little less professional and a little more human, which is a great position to be. You can also join other groups and post your best content occasionally. The trick with this is that a lot of the best, most active groups have rules against link dumps, so you need to actually strive to be part of the community before you can post your links to get more reach out of them. Any time you can get an exclusive partnership with an influential member of your audience or of your community is a great time. Make use of these connections to gain exposure to other audiences or to bring other audiences into your own. Partnerships can take a wide range of possible forms, so just work with each influencer to see what they might be willing to do. It's quiet in here! Have questions or comments? Leave a reply!